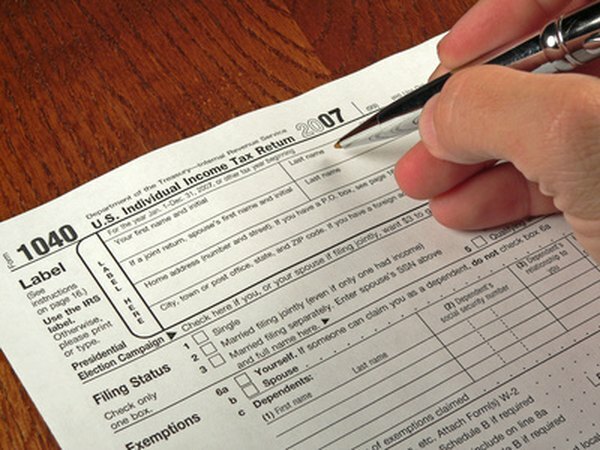 You can use Form 1040 or Form 1040A to claim excess Social Security deductions. 3. Can I Include Social Security Withheld as a Deduction? The Social Security portion of the Federal Insurance Contributions Act tax is capped each year at a certain level of income. If you have just one employer, it's easy for that employer to know when your income exceeds the limit so it can stop deducting Social Security taxes from your paycheck. However, if you're working multiple jobs, each employer only knows about the income it is paying you, so you might end up having too much withheld from your total pay from all employers. To rectify that situation, you can claim a tax credit for the excess amount withheld. Add the Social Security deductions taken by each of your employers to figure the total amount withheld for the year. For example, if one employer withholds $3,485.60 and the other withholds $2,000, your total Social Security deductions equal $5,485.60. Subtract the maximum Social Security taxes due for the year from the amount deducted from your paychecks to find the excess withholding amount. You can find the annual maximum for Social Security withholding in IRS Publication 505. For example, in 2012 the maximum Social Security tax due equals $4,485.60, so if you had $5,485.60 withheld, you'd have an excess of $1,000 withheld. Report the amount of the excess as a tax credit on line 69 of Form 1040. If you use Form 1040A, report the excess as a credit on line 41 and write "Excess SST" to the left of the line. Does Social Security Withholding Figure Into My Tax Return?